In 2008, long before stress tests and Dodd-Frank, then-Senator Barack Obama excelled in the rich enclaves where much of New York’s financial class lives. 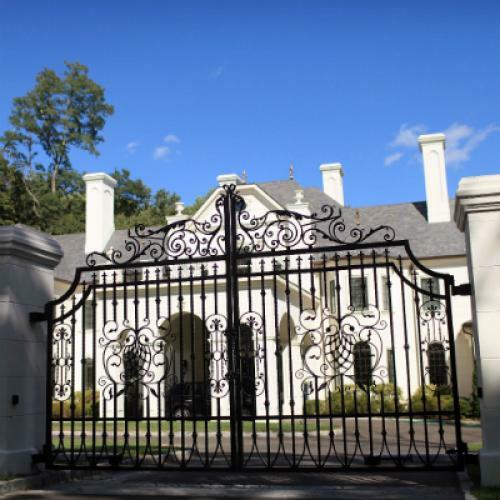 Obama made staggering gains among one-percenters in the wealthiest areas of western Connecticut, where as many as one-quarter of adult males work in the financial sector. In New Canaan, where Brian Williams owns a home and the median income exceeds $175,000, Obama lost by just 6 points after Kerry lost by 22 points four years earlier. Nearby Greenwich, where you can find Mel Gibson, Regis, and Madoff's kids, voted for Obama by 8 points. The shift among New York executives in western Connecticut was just the most striking example of a broader movement toward Democrats in affluent communities across the northern half of the country. The national exit poll showed Obama winning 52 percent of voters making more than $200,000 per year, compared to Kerry’s 36 percent four years earlier. Obama’s advances among affluent voters underpinned his victories in Virginia and Colorado, where strong showings in the Denver and Washington suburbs allowed Obama to win these traditionally Republican states. After Dodd-Frank and Occupy Wall Street ignited a fight about “class warfare,” the Republicans nominated an establishment candidate from the northeast with strong ties to the financial industry. Many believed that one-percenters would return to their Republican traditions, even though the polling data suggested that Obama was holding relatively firm among affluent voters. Nonetheless, the elite backlash against the Obama campaign’s attacks on Bain Capital, Romney’s fundraising successes on Wall Street, and the decline of Obama's Wall Street donor base seemed to lend anecdotal credibility to the assumption that Romney would perform well in rich suburbs. Romney's fundraising success on Wall Street was indeed a harbinger of Romney's electoral gains with New York's financial class. This time around, Obama finished worse than Kerry in most wealthy towns in Fairfield County, Connecticut, and especially those closest to New York City. Obama won Greenwich in 2008, but fell 19 points to lose by 11 in 2012. In New Canaan, Obama lost by 29 points last week, even though he only lost by 6 points in 2008. These tiny towns aren't populous enough, however, to move the needle; Romney still lost Fairfield County overall by 12 points, even though the 2006-2009 American Community Survey found that 16 percent of Fairfield County households made more than $200,000 per year. If the subsection of New York’s business elite living in western Connecticut was representative of affluent America more generally, the president have would suffered devastating losses among affluent voters, hurting his chances in Colorado, Virginia, and perhaps even Pennsylvania. But the initial returns suggest that the president held on to more of his support from wealthy voters nationally than he did in western Connecticut. As soon as you move away from New York City, Obama's tallies begin to improve. In wealthy towns in central and eastern Connecticut, Obama outperformed Kerry and outright won seven of the nine most affluent towns. The national exit poll shows that Obama won 45 percent of voters making more than $200,000 per year, a decline from 52 percent in 2008 but far better than Kerry’s 36 percent in 2004. The president ran far ahead of Kerry and approached or exceeded ’08 levels in wealthy and highly educated, socially progressive tech corridors, like Seattle’s eastside, Silicon Valley, and Raleigh-Durham-Chapel Hill. The president also maintained nearly all of his support in the D.C. suburbs and exurbs of northern Virginia—the region with the highest median income in the country. Obama won Fairfax, Loudon, and Prince William Counties, as well as the smaller towns and cities within them, by 21 percent, down only slightly from 22.6 in 2008. An analysis by The Washington Post found that Obama won 52.5 percent of the vote in Washington area precincts with a median income exceeding $180,000 per year, down just slightly from 55 percent in 2008. If Democrats continue to excel in northern Virginia, Republicans will have an extremely difficult time winning the Commonwealth's 13 electoral votes in future elections. Romney made bigger gains in the affluent but traditionally conservative suburbs ringing Midwestern and Southern cities, but Romney still tended to run well behind Bush in the suburbs of Des Moines, Minneapolis, Indianapolis, and Columbus. In a few deeply conservative, white, and wealthy counties outside of Houston and Nashville (Montgomery and Williamson Counties), Romney exceeded 70 percent of the vote and did even better than Bush—but neither state was in contest. In a more useful sign for Republicans, Romney ran ahead of Bush in Bucks County, Pennsylvania, but Bucks holds everything from farmland to Levittown, so the exact sources of Romney's strength won't be clear until the data is examined at the precinct level. Obama's perceived hostility toward Wall Street led to big losses in the wealthiest towns of western Connecticut. But in affluent and well educated areas with fewer connections to the financial sector, Obama maintained more of his elevated standing among wealthy voters. In the critical suburbs of Denver and northern Virginia, Romney's gains weren't nearly sufficient to return two traditionally Republican states to their historic stance. These two affluent states that selected Bush eight years ago voted more for Obama than the nation as a whole—a telling indicator of the GOP's persistent woes with the well-educated and affluent voters who constituted the core of the Republican party as recently as 20 years ago.